In ‘Timewarp’ Original Unrestored Condition. 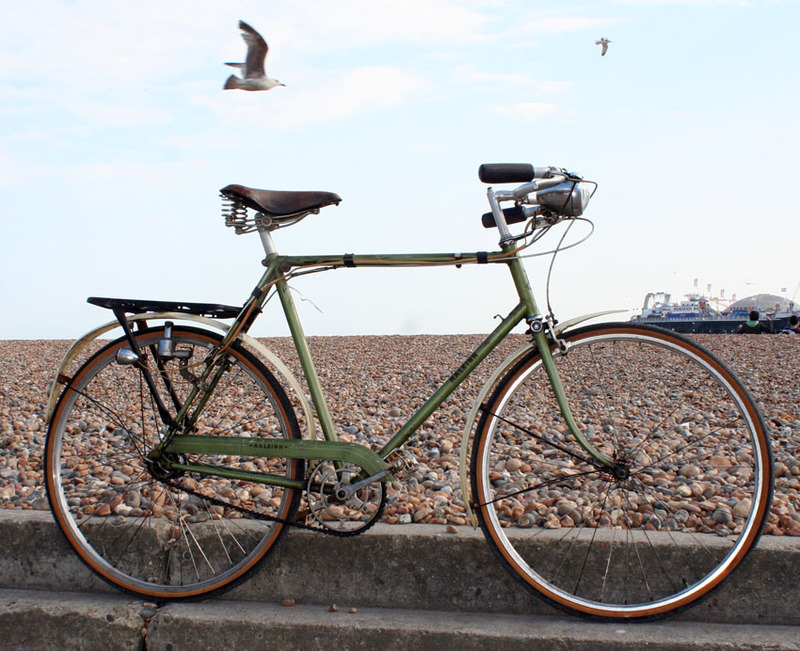 This Lenton Tourist is a rare early example; frame number 76504T tallies with 1949/1950 and the Sturmey-Archer ‘AW’ 3-speed hub is marked with a production date of June 1949. 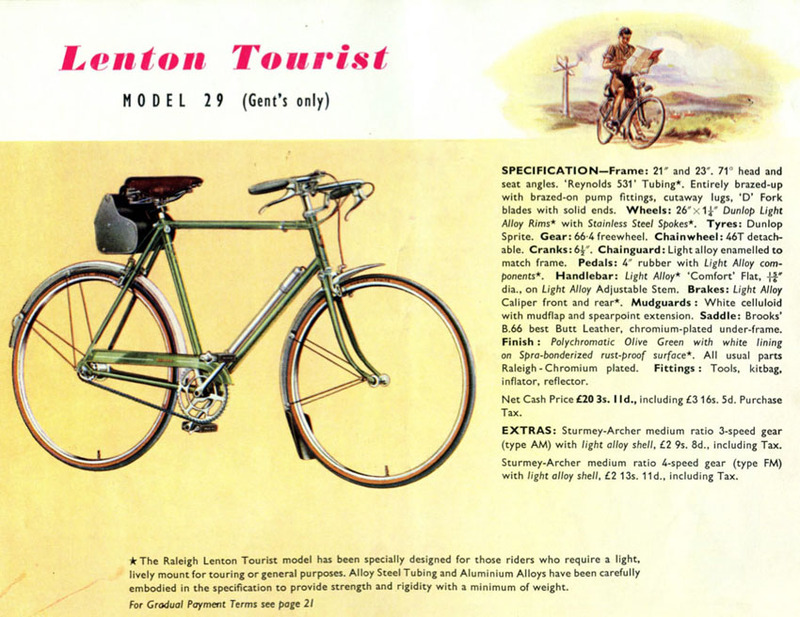 I did not see Lenton Tourist models in any Raleigh catalogues prior to 1949, so this would appear to be one of the first. The original paintwork retains its pin-striping and transfers (decals), and it’s fitted with an accessory lighting set, Lucas cyclometer and rear carrier. The cyclometer reads 757 miles. This machine was in storage for many years. So the mileage on the cyclometer could well be genuine judging by the original condition and its history of long-term storage. It could do with a good clean – it still has 1950s mud inside the mudguards. I’ve ridden it and it handles well. It will be serviced prior to dismantling, boxing and dispatch to the lucky new owner.